This week's biggest news is about something quite small: the Sony PS Vita, which went on sale in the UK this week and was topping Amazon's charts before a single unit had shipped. It's a serious bit of kit. As you'll discover in our in-depth Sony PS Vita review, Sony's handheld console is "the most powerful, dazzling and impressive handheld games console ever built" with "not one but two quad-core processors, a sparkling 5-inch touchscreen OLED display, dual analogue stick controls and games that go way beyond what any other portable device is currently capable of." Is it better than a 3DS? You betcha: it's "a beast among men", apparently. Will anybody buy one? That's a very good question. "It's a luxury item launching post-Christmas into a Western world ravaged by recession, and further hindered by Sony's desperate need to make money at a time when the strength of the Yen makes Japanese products very pricey." 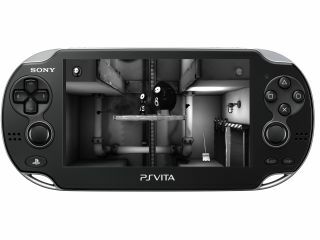 But around 12.4 million PlayStation Vita handhelds will be sold in 2012, according to a forecast by Strategy Analytics. While the PlayStation Vita represents the cutting edge of handheld gaming, some gamers' thoughts are turning to the next generation of consoles. Fancy a bit of Metal Gear Solid 5 on your Xbox 720 or PS4? Kojima productions is hiring for games running on "next-gen game engine technology." The game's years away, but that doesn't stop us from being a little bit excited. The PS Vita isn't the only little thing making big waves this week. While the giants of the phone world were getting ready to show off their stuff at next week's Mobile World Congress, we discovered stacks of information about the forthcoming Windows Phone 8. It'll have Skype, SkyDrive and possibly many other things starting with "Sky", and there should be four new form factors ranging from little tablets to little watches. When Windows Phone 8 ships later this year, we might even be able to use it on 4G: according to Everything Everywhere, the terribly-named parent of Orange and T-Mobile, it could launch its 4G network by the end of this year if Ofcom lets it convert some existing frequency from 3G to 4G. The firm also promises to complete its HSPA+21 high-speed 3G rollout by the second quarter of this year, with some lucky people getting HSPA+42 this year too. So what sort of phones will we be using on the super-speedy mobile internet of the future? We reckon they'll look a lot like the LG Optimus 4X HD, a quad-core monster with an enormous screen and Google's Ice Cream Sandwich. If that isn't impressive enough, it turns out that quad-core really means four-and-a-bit cores: the Nvidia Tegra 3 features hugely impressive technology with a hugely unimpressive name, 4-PLUS-1. That means the processor has four cores, with a fifth companion core for less strenuous tasks. Technology doesn't get much smaller than processor cores, so let's look at something a little bit bigger. Fancy an enormous earth-to-space elevator? Of course you do. There's just one catch: it doesn't actually exist - yet. That might change, because a Japanese firm wants to build it. As Marc Chacksfield puts it: "By 2050, Obayashi Corp is hoping to create a space lift, which involves a massive cable and something called nanotubes. The company doesn't know how much it will cost but promise it won't "simply be a dream". Sounds like someone has being reading too many Roald Dahl stories."